Oak Tree Gun Club is open to the public, however we do offer Membership options with valuable discounts for shooting and merchandise. Do I need to have my own guns and ammunition? We provide a large selection of Pistols, Rifles, and Shotguns for Rent. If you use our rental guns, you must use our ammunition. Our experienced range staff can assist any new shooter, however we do recommend that you let them know when you are checking in, BEFORE going onto any shooting range. 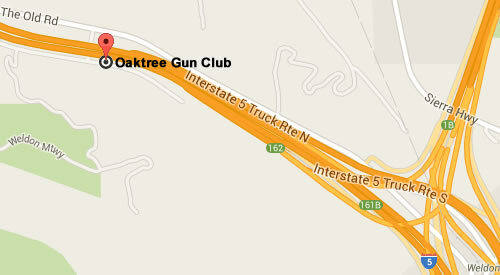 Are there any ammunition restrictions at Oak Tree Gun Club? Yes. Certain ammo may be allowed on some ranges, but not others, so PLEASE ask the Range Associate when you are checking-in if your ammunition is approved at the range you are shooting. Oak Tree does not allow any steel core ammunition to be shot at any range. The only calibers allowed at the steel pistol gallery are .22lr, 9mm, 40cal, 38sp, and 45ACP.